Ferrari’s approach to tire choice ahead of its Key rivals for the Hungarian Grand Prix. 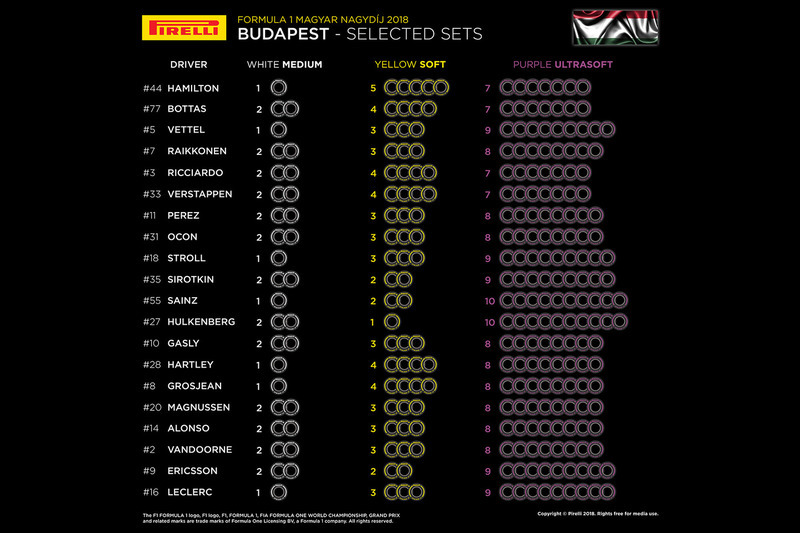 For the Hungarian GP both MercedesAMG and Red Bull Racing are opting for 7 sets of the ultrasofts (Pirelli Purple) for each of its drivers. While Ferrari (NYSE:RACE) has given Sebastian Vettel 9 sets of the softest compound available for the race, and Kimi Raikkonen getting 8. Ferrari’s choice leaves Messrs Vettel and Raikkonen with 3 sets of Pirelli’s soft tires. But Ferrari is not the most aggressive team in its approach for the Hungaroring, with Renault picking 10 sets of the ultrasofts for Carlos Sainz and Nico Hulkenberg. The full tire selections are as below.